There is a reason that meditation and mindfulness are all over the news lately. We’ve heard about the benefits: more energy, less stress, feelings of well-being and connection, and a strengthened ability to focus, among many others. But there’s a common misconception that meditation is boring, difficult, and that you have to just sit in silence and try not to think. Most all of us can agree that at times we struggle with feelings of overwhelm, fear, and stress, and that meditation might help, but the task can seem daunting if its new and you don’t know where to start. I struggled with these feelings as a beginning meditator, but I learned over time that mindfulness is not about stopping thoughts completely; rather, it’s about slowing down your thoughts and becoming a curious observer of your mind and what it’s doing. My workshop on November 14th at Amara Yoga & Arts is all about addressing any fears you might have about meditation, and about giving you plenty of tools to choose from so that you can find the type of meditation practice that works for you. You don’t have to have any previous yoga or meditation experience and you’ll learn that you absolutely don’t have to sit on the floor to meditate; comfort is key. I’ll share with you a few pranayama (yogic breathing) exercises you can use on a daily basis to help energize or relax your body and mind. Next, we will explore strategies and visualizations to use during silent meditation. Finally, we will practice an “active” meditation that uses mantra (sound) and mudras (hand gestures) to focus the mind. 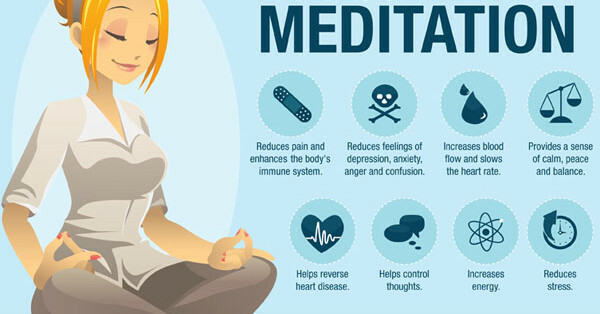 These are the strategies that I have used to make meditation part of my self-care routine, and for me it’s one of the most important parts of my yoga practice. 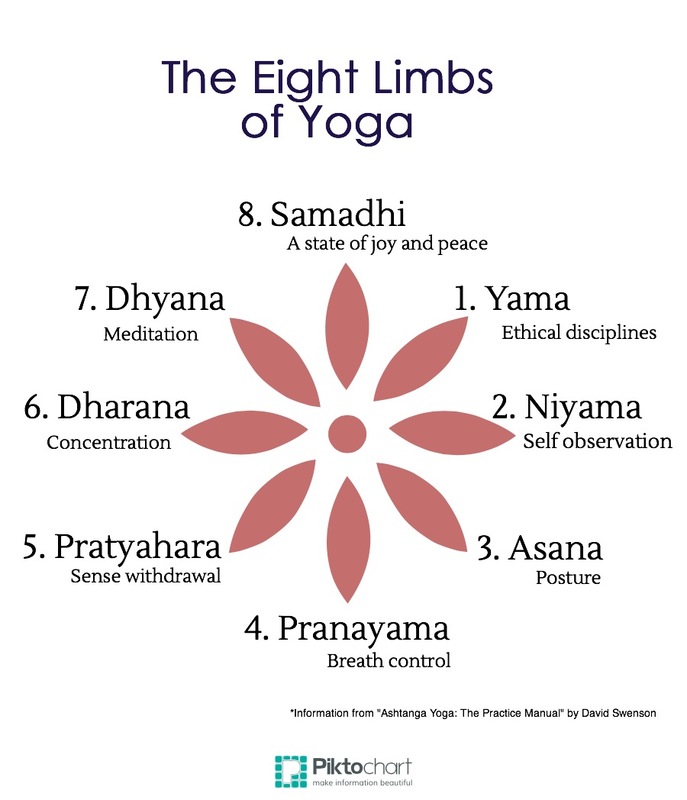 As you can see in the image below, physical poses (asana) are just one of eight limbs of a yogic lifestyle. We will practice a little bit of gentle asana at the workshop to make our bodies comfortable during meditation, but we will mainly delve into limbs 4 through 8, where all the really nice and juicy stuff is found. I hope you’ll join us and see how mindfulness can change your life for the better, as it has for me. >>>Click HERE to Register Online!